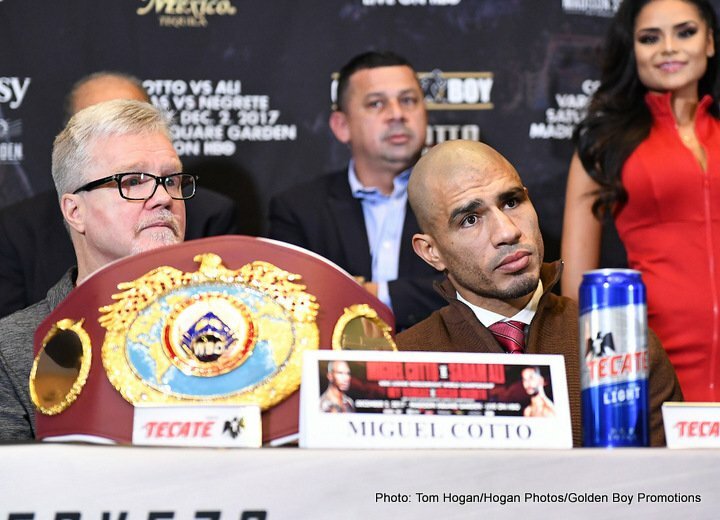 Boxing legend Miguel Cotto has vowed to go out with a bang as he enters the ring for the final time this Saturday night. The future Hall-of-Famer who has won world titles in four different divisions will fight for the last time against 2008 Olympian Sadam Ali, exclusively live on BoxNation. Odds courtesy of Bovada, (Twitter: @BovadaLV). Requests for interviews with and/or quotes from a Bovada Oddsmaker, as well as props requests, can be made by replying to this message.